Calvi is a commune in the Haute-Corse department of France on the island of Corsica.It is the seat of the Canton of Calvi, which contains Calvi and one other commune, Lumio. You'll discover tucked-away gems like Chapelle de Notre Dame de la Serra and Phare de la Pietra. 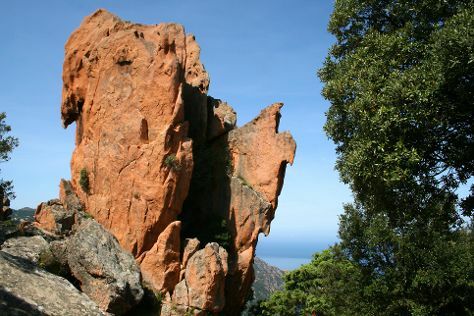 Change things up with these side-trips from Calvi: Le Jardin Botanique Frutier d'Avapessa (in Avapessa), Sentier du Facteur (in Girolata) and Corte (L'Arche de Corte & Vallee du Tavignano). There's lots more to do: see some colorful creatures with a scuba or snorkeling tour, enjoy the sand and surf at Punta Spano, steep yourself in history at Citadelle de Calvi, and tour the pleasant surroundings at Aregno Beach. For other places to visit, reviews, maps, and more tourist information, read our Calvi online tour itinerary planner . Brussels, Belgium to Calvi is an approximately 4-hour flight. You can also do a combination of train and flight; or do a combination of train, flight, and bus. Prepare for a bit warmer weather when traveling from Brussels in May: high temperatures in Calvi hover around 26°C and lows are around 15°C. Finish your sightseeing early on the 21st (Tue) so you can drive to Porto-Vecchio. Porto-Vecchio is a commune in the Corse-du-Sud department of France on the island of Corsica. 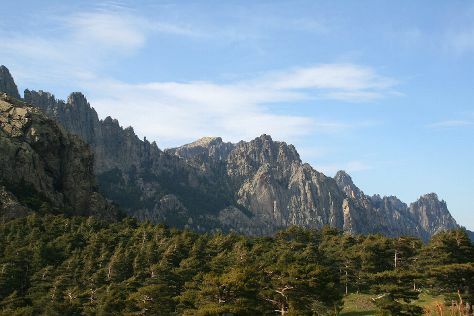 Eschew the tourist crowds and head to Aiguilles de Bavella (Bavella Needles) and Escalier du Roi d'Aragon (King Aragon Steps). Change things up with these side-trips from Porto-Vecchio: Piscines Naturelles de Cavu (in Sainte Lucie De Porto Vecchio), Bonifacio (Grottes de Bonifacio, Plage du Petit Sperone, & more) and Mini Golf de Tarco (in Conca). There's much more to do: discover the deep blue sea with a scuba or snorkeling tour, explore the stunning scenery at Cascades de Polischellu, identify plant and animal life at Reserve Naturelle des Iles Cerbicales, and get great views at Castello D'araggio. To see reviews and tourist information, read our Porto-Vecchio day trip planner. Traveling by car from Calvi to Porto-Vecchio takes 3.5 hours. Alternatively, you can take a bus; or do a combination of train and bus. In May, daytime highs in Porto-Vecchio are 27°C, while nighttime lows are 15°C. Wrap up your sightseeing on the 27th (Mon) to allow time to travel to Nimes. Nîmes has a rich history dating back to the Roman Empire, with a stunning coliseum that is second only to Rome's. Step off the beaten path and head to Grand Site de l'Aven d'Orgnac and Wine Tours & Tastings. Explore Nimes' surroundings by going to Chateau des Baux de Provence (in Les Baux de Provence), Le Sentier des Ocres (in Roussillon) and Mines de Bruoux (in Gargas). There's much more to do: admire the natural beauty at La Bambouseraie en Cevennes, don't miss a visit to Roman Theatre of Orange, delve into the distant past at Amphitheatre (les Arenes), and identify plant and animal life at Le Parc Ornithologique de Pont de Gau. For reviews, maps, and tourist information, read Nimes trip itinerary builder site . Getting from Porto-Vecchio to Nimes by combination of flight and train takes about 5.5 hours. Other options: do a combination of bus, flight, and train; or do a combination of car and ferry. In May, daytime highs in Nimes are 26°C, while nighttime lows are 15°C. 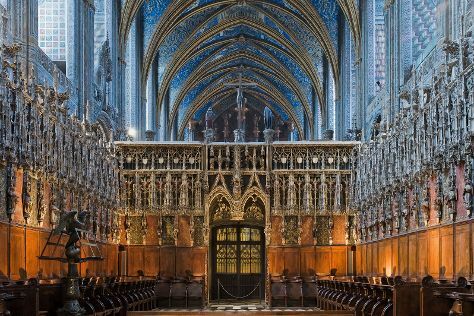 Cap off your sightseeing on the 1st (Sat) early enough to go by car to Albi. Albi is a commune in southern France. Kick off your visit on the 2nd (Sun): tour the pleasant surroundings at Espace Zoologique Exoticamis, then pause for some serene contemplation at Chapelle Notre Dame de Ruffis, then snap pictures at Viaduc du Viaur, and finally explore the historical opulence of Forteresse de Najac. On your second day here, pause for some serene contemplation at Cathedrale Sainte-Cecile, make a trip to Moulin de Cajarc, admire the natural beauty at Les Jardins de la Berbie, then admire the masterpieces at Musee Toulouse-Lautrec, and finally contemplate in the serene atmosphere at Cloitre de la Collegiale Saint Salvy. To find out how to plan a trip to Albi, use our trip itinerary maker. You can drive from Nimes to Albi in 3.5 hours. Alternatively, you can take a train; or do a combination of train and bus. In June, daily temperatures in Albi can reach 31°C, while at night they dip to 17°C. Finish your sightseeing early on the 3rd (Mon) to allow enough time to drive to Sarlat-la-Caneda. Sarlat-la-Caneda is the capital of the former Périgord Noir, now referred to as the Aquitaine region that is home to a historical area consisting of impeccably preserved 14th-century buildings and sites. You'll explore the less-touristy side of things at Chateau de Castelnaud and Pont Valentre. You'll find plenty of places to visit near Sarlat-la-Caneda: Roque Saint-Christophe Fort et Cite Troglodytiques (in Peyzac-le-Moustier), Eglise Saint-Jean-Baptiste de Campagne (in Campagne) and Rocamadour (Cite Religieuse, Rocher des Aigles, & more). Next up on the itinerary: take in nature's colorful creations at Les Jardins de Marqueyssac, don't miss a visit to Chateau de Beynac, snap pictures at Viaduc de Sarlat-la-Caneda, and step into the grandiose world of Chateau de Commarque. Start your trip to Sarlat-la-Caneda by creating a personalized itinerary on Inspirock. Traveling by car from Albi to Sarlat-la-Caneda takes 2.5 hours. Alternatively, you can do a combination of bus and train; or take a train. Expect a daytime high around 31°C in June, and nighttime lows around 15°C. Finish up your sightseeing early on the 9th (Sun) so you can go by car to La Rochelle. Driving on the narrow streets can be difficult in La Rochelle so walking or biking will give you the best view of the pale stone buildings that give the Vieux Port, or old port, a distinctly Mediterranean quality. You'll explore the less-touristy side of things at Phare des Baleines and Clocher Observatoire. Change things up with these side-trips from La Rochelle: Port de Saint-Martin-de-Re (in Saint Martin de Re), Le phare de chassiron (in Saint-Denis d'Oleron) and Le Port des Salines (in Le Grand-Village-Plage). 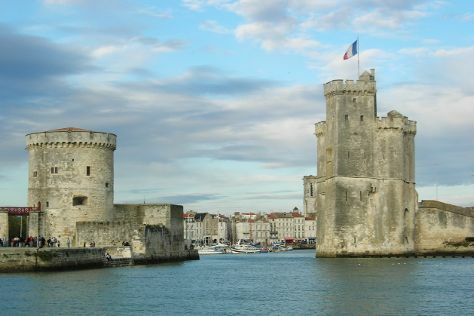 Next up on the itinerary: don't miss a visit to Towers of La Rochelle, contemplate the waterfront views at Vieux Port, get outside with La Rochelle Croisiere Haka, and go for a stroll along the water at Port du Plomb. To see reviews, traveler tips, other places to visit, and other tourist information, use the La Rochelle holiday planner . Traveling by car from Sarlat-la-Caneda to La Rochelle takes 4 hours. Alternatively, you can take a train; or do a combination of train and bus. When traveling from Sarlat-la-Caneda in June, plan for slightly colder days and about the same nights in La Rochelle: temperatures range from 25°C by day to 16°C at night. Cap off your sightseeing on the 12th (Wed) early enough to catch the train to Tours. Famous for its original medieval district, Tours is famous for its cafes that serve regional wines and interesting architectural bridges crossing the river Loire. You'll explore the less-touristy side of things at Cathedrale Saint-Gatien and Place Plumereau. You'll find plenty of places to visit near Tours: Collégiale Saint-Aignan (in Saint-Aignan), Zoo de La Fleche (in La Fleche) and Chateau de Cheverny (in Cheverny). 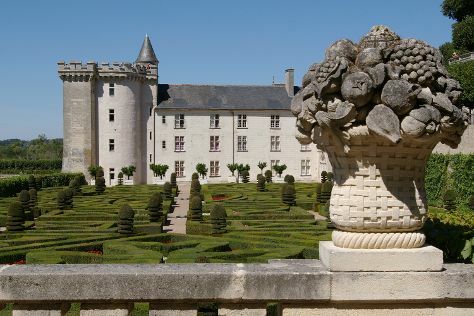 There's much more to do: step into the grandiose world of Château de l'Islette, steep yourself in history at Chateau of Azay-le-Rideau, and take in nature's colorful creations at Chateau de Villandry. To find ratings, photos, where to stay, and tourist information, go to the Tours trip planner . Traveling by train from La Rochelle to Tours takes 2 hours. Alternatively, you can drive; or take a bus. June in Tours sees daily highs of 27°C and lows of 15°C at night. Finish up your sightseeing early on the 16th (Sun) so you can go by car to Perros-Guirec. Perros-Guirec is a popular seaside resort with beaches and opportunities for water and beach sports. Discover out-of-the-way places like Grand Site Naturel de Ploumanac'h and Ville Close de Concarneau. Explore Perros-Guirec's surroundings by going to Spas (in Concarneau), Ile de Batz (in Roscoff) and Eglise Saint-Etienne de Plouezoc'h (in Plouezoc'h). There's still lots to do: identify plant and animal life at Reserve Naturelle des Sept Iles, take in the architecture and atmosphere at La Cathedrale Saint-Tugdual, enjoy the sights with a stroll at Sentier des douaniers, and make a trip to Centre Historique de Locronan. To see maps, more things to do, photos, and other tourist information, you can read our Perros-Guirec trip maker tool . Getting from Tours to Perros-Guirec by car takes about 4.5 hours. Other options: take a train; or take a bus. Traveling from Tours in June, you will find days in Perros-Guirec are little chillier (21°C), and nights are about the same (13°C). Wrap up your sightseeing on the 21st (Fri) early enough to drive to Saint-Malo. Once the feared base of pirates and heavily fortified against Norman attacks, today's coastal Saint-Malo is one of the top tourist draws. You'll explore the less-touristy side of things at Pointe du Grouin and Fort La Latte. You'll find plenty of places to visit near Saint-Malo: Parc du Thabor (in Rennes), Cap Fréhel (in Saint-Brieuc) and La Grande Vigne (in Dinan). Next up on the itinerary: make a trip to Centre Historique, get outside with Avel Char, hike along GR 34, and take in panoramic vistas at Les Remparts de Dinan. To see more things to do, reviews, other places to visit, and more tourist information, read Saint-Malo driving holiday tool . You can drive from Perros-Guirec to Saint-Malo in 2 hours. Alternatively, you can take a train; or take a bus. Expect a daytime high around 22°C in June, and nighttime lows around 13°C. Cap off your sightseeing on the 25th (Tue) early enough to go by car to Bayeux. You'll discover tucked-away gems like Airborne Museum and Pointe du Hoc. Venture out of the city with trips to Musee du Debarquement Utah Beach (in Sainte-Marie-du-Mont), La Maison du Biscuit (in Sortosville-en-Beaumont) and Church of Sainte-Mère-Église (in Sainte-Mere-Eglise). Next up on the itinerary: take in the history at Omaha Beach, browse the exhibits of Musee Memorial de la Bataille de Normandie, learn about all things military at Batterie Allemande de Longues-Sure-Mer, and contemplate the long history of Remains Mulberry Harbour. To see reviews, ratings, more things to do, and tourist information, you can read our Bayeux trip itinerary maker site . Getting from Saint-Malo to Bayeux by car takes about 2 hours. Other options: take a train; or take a bus. Expect a daytime high around 24°C in June, and nighttime lows around 12°C. Finish your sightseeing early on the 30th (Sun) to allow enough time to drive to Rouen. Eschew the tourist crowds and head to Les Hortillonnages d'Amiens and Pont de Normandie. 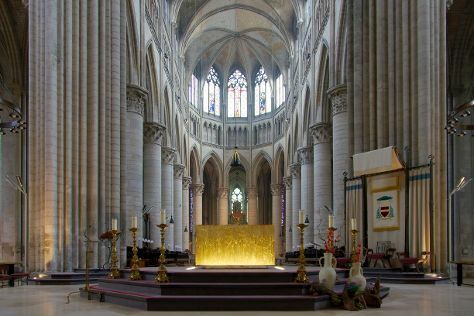 You'll find plenty of places to visit near Rouen: Cathedrale Notre-Dame d'Amiens (in Amiens) and Abbaye de Jumieges (in Jumieges). There's lots more to do: make a trip to Vieux, test your problem-solving skills at popular escape rooms, admire the landmark architecture of Cathedrale Notre-Dame de Rouen, and pause for some photo ops at Gros-Horloge. To see traveler tips, ratings, maps, and tourist information, refer to the Rouen trip itinerary maker tool . Traveling by car from Bayeux to Rouen takes 2 hours. Alternatively, you can take a train; or take a bus. In June in Rouen, expect temperatures between 24°C during the day and 12°C at night. On the 4th (Thu), wrap the sightseeing up by early afternoon so you can take a train back home.